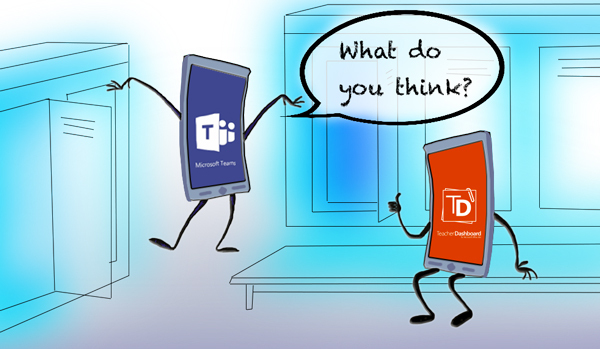 A couple of weeks ago, I wrote about my first impressions of Microsoft Teams as a Classroom replacement. As a result, I wanted to see how seemless an experience it would be if all of my classes had already been set up with School Data Sync (SDS). I have recently been discussing different initial experiences of Teacher Dashboard with our customers, and so I thought I would share the steps to get up and running as quickly as possible. Whether you are a teacher, an IT Admin, or a network administrator for a district, I recommend that before you even think about syncing classes, setting up subjects, etc., everyone should start off by sending and responding to an assignment that they have set for themselves so they can see both the teacher and student experiences of Teacher Dashboard. Login as a Teacher and go to the Assignments page, click on 'New' and enter your test assignment title. On the Details page, enter some sample instructions, select 'Other' as your subject, put in a due time and date and pick your marking format. With MS Classroom gone, what's going to replace your simple assignment workflow tool? more potential functionality to Teacher Dashboard. If you missed my last post, you can read what my thoughts are on the end of Classroom here. Microsoft has gone to great lengths to build solid foundation applications which their Education Partners, like Teacher Dashboard, can use to develop further value. If Teams is to compare to Classroom, it has to excel at providing a minimalist assignment workflow and require little to no training to get started.